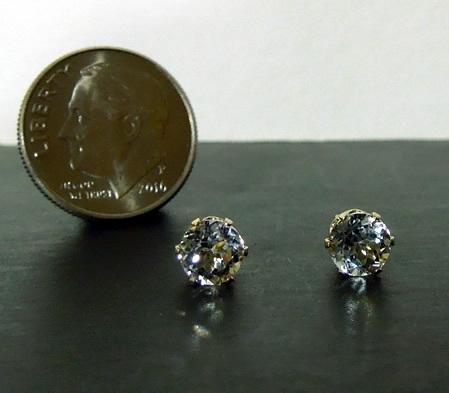 Notes: A set of brilliant round diamond studs. 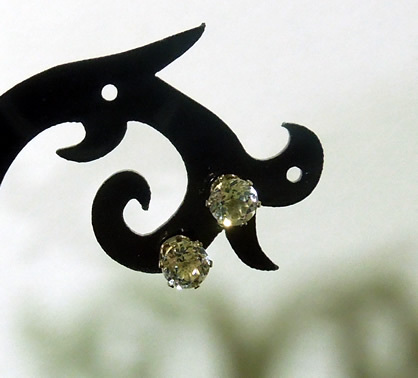 The water clear Herkimer Diamonds measure 5 mm and have a total carat weight of 1.5 ct. 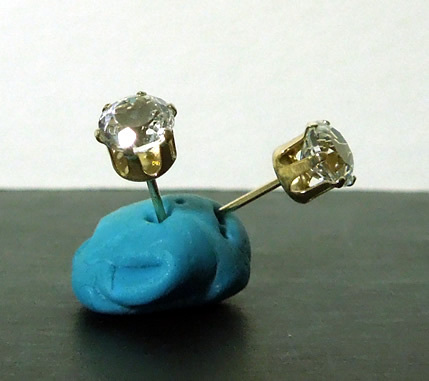 The are set in 14k gold filled stud earrings. 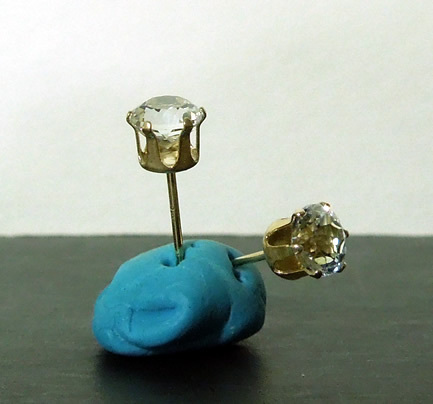 Set of diamond stud earrings.